Studying sound recording technology in college wasn’t necessarily the best preparation for an aspiring teacher, but I’ve tried to find ways to incorporate the things I learned and enjoyed from the world of sound engineering into education. Here’s three audio related tools and tips I’ve found helpful in my classroom. I enjoy having calming music playing during times of quiet or silent work, but I don’t like the idea of having only a couple CD’s or tracks of calming music. Playing them over and over gets old. I’ve tried online radio, but the advertisements that come up on Pandora, Spotify, and iTunes Radio can be pretty distracting in the middle of silent reading (not to mention inappropriate at times). Bloom is a music generating app created by ambient music innovator Brian Eno. It sustains a low drone and plays different tones when you tap the screen. If you don’t tap the screen, it will begin to generate music on it’s own, which is what I do in my classroom. The best way to understand it is to take a listen for yourself. The tones are on a delay but it isn’t a traditional loop so it doesn’t drive you crazy. You can also choose between various moods, which alters the key and mode of the music that’s created. There’s been research that shows that ambient noises (such us the background noise of a coffee house, or, of course, ambient music) can actually promote creativity in the mind more so than a silent room. Try Bloom out. One album of calming music is $10, Bloom is infinite music for $4. [NOTE: There’s a couple of other apps created by Brian Eno similar to Bloom called Trope ($4) and Air ($2). Take a listen to see which is the best fit for you]. It’s hard to get students to monitor their noise levels. You can have different colors up that represent silent, whisper, and indoor talking voices but it’s difficult to monitor when the whisper is turning into indoor talking, or when indoor talking is turning into outside voices. If only there was a way for students to know exactly how loud they were. During group work time, I’ll ask the class to stay under 50dB. I will also write the letters NOISE on the board. If the class hits 50dB, I erase a letter. If we get down to NO, then there’s no more talking. They will almost always catch themselves getting too loud and they help monitor each other. I use my old iPhone 3GS and place it under the document camera. 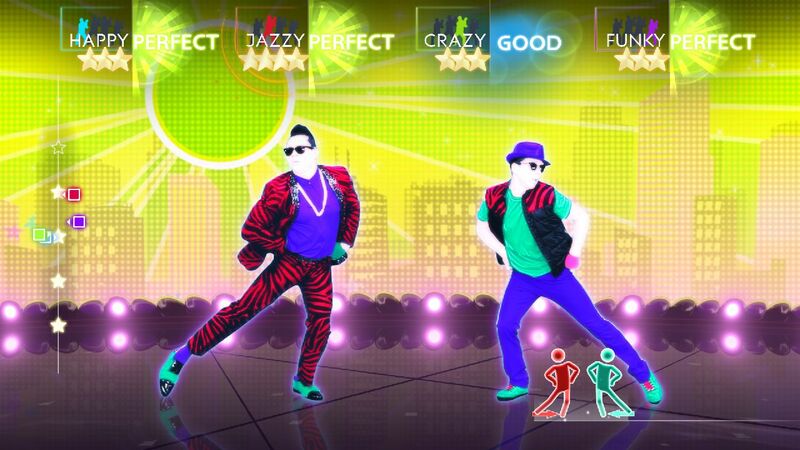 A great indoor recess activity is to play the videos from the game series ‘Just Dance.’ If you’re not familiar, it’s a video game where you follow the choreography of the dancer on the screen. YouTube has tons of videos of it that you can project in your classroom. This channel is where I find most of mine. For younger students, I like how Matt B. Gomez has made a Symbaloo of all the ones he uses for his kindergarten class. Check it HERE. For older students, I’ve downloaded the mp4’s of the videos I use into my Dropbox, which can be viewed HERE. We’ll use about half of recess time for Just Dance and we spend the rest of recess playing silent ball. Some of my louder students ironically enjoy silent ball more than Just Dance. What are the sounds of YOUR classroom? Great information! Thanks for sharing this stuff. Any suggestions for Android users? I found this decibel level app. Scroll down and it shows a lot of similar apps if this one isn’t super.